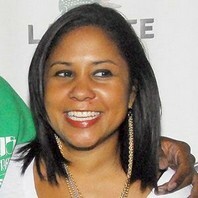 New York City radio host known for hosting The Breakfast Club on Power 105.1 (WWPR-FM). Her show was named by The Source as one of the best radio shows in the country in a special Power 30 issue of the magazine. How much is Angela Yee worth? RT @TheSuzinator: @angelayee HELL NO! The ring was made/picked with someone else in mind.